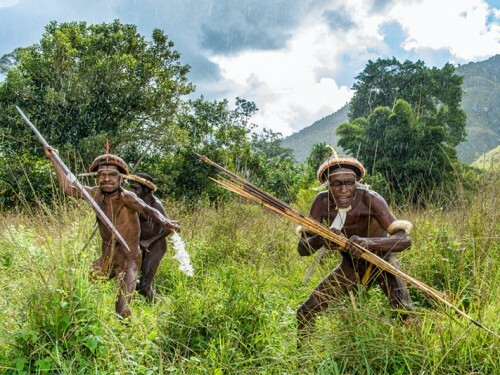 Set in a stunning valley of Papua, The Baliem Valley Festival is a show of prowess and fighting skills in mock battles among the Dani, Yali and Lani tribes inhabiting the valley, that once were held as regular warfare among tribes to protect each village or avenge warriors killed. However, since 1989 these battles have been transformed into the main highlight for the annual Baliem Valley Festival. 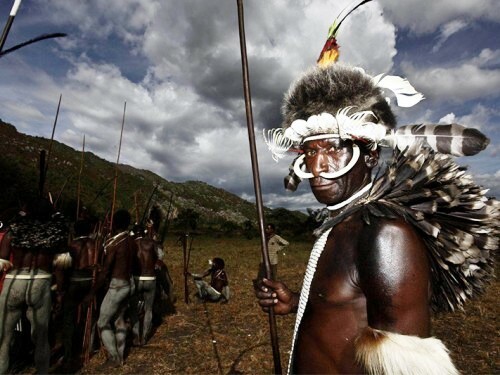 Anthropologists studying the Dani tribe have noted that the “Dani wars” are more a display of prowess and opulence of dress and decoration rather than an all out war to kill the enemy. Dani warfare displays competence and exuberance, rather than the wish to kill. Weapons used are long spears, measuring 4.5 meters, and bows and arrows. Most often, therefore, there are more wounded than killed, while the wounded are quickly carried off the field. This year the event takes the theme: “The Art of War and Dance” and will be held from 8-11 August, which is sure to attract thousands of onlookers from far and wide, also attended by many international tourists, especially avid photographers. At this feast, which has as its highlight the mock battles among the tribes, the Dani, Yali, and Lani send their best warriors to the arena, wearing their best regalia. The festival is complemented with a Pig Feast, Earth cooking and traditional music and dance. There are also traditional arts and crafts exhibited or for sale. Other activities include an archery competition, spear throwing competition, traditional cooking demonstration and musical performances on the Pikon the traditional musical instrument made of tree bark. After the event, for those who wish to visit the countryside and the villages, may be interested to see age-old mummies of village and battle chieftains that have been preserved through traditional means. There are three mummies here, one each in the District of Kurulu, in the District of Assologaima and in the District of Kurima separately. Photographers, Both professionals or amateurs, make this your opportunity to take rare photographs of the people of Papua in their own isolated habitat showing off their art, culture and way of life. To get to the Baliem Valley, take a flight from Jakarta, Bali or Makassar to Jayapura , capital of the province of Papua. Airlines flying this route include Garuda Indonesia, Sriwijaya Air and Lion Air. Then connect with a flight to Wamena airport,that has recently been overhauled and modernized.